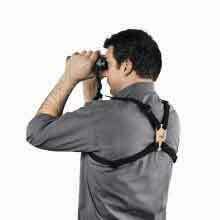 The comfortable new Bino Suspender distributes the weight of the binoculars evenly across the entire upper body. This relieves pressure from the observer's neck area and allows him to move easily by preventing the distracting swinging motion of the binoculars. The 2.5 cm wide carrying strap provides extra comfort. 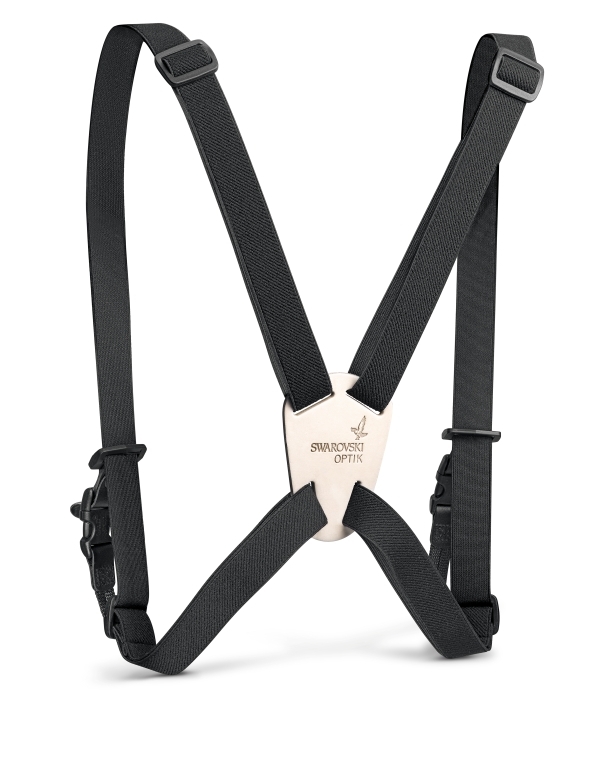 The new click and adjust system allows the carrying strap to be attached and detached quickly. The strap is easily and individually adjustable. The new holder weighs just 110 g.